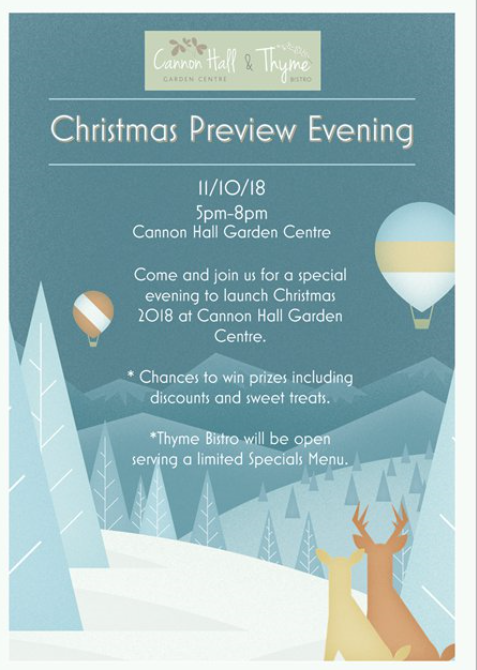 Come and join us for a special evening to launch Christmas 2018 at Cannon Hall Garden Centre. There will be chances to win prizes including discounts and sweet treats. Thyme Bistro will be open serving a limited Specials Menu. Finalists for the 2018 Greats Gift Retailer Awards 2018! Autumn Winter Menu Now Available in the Bistro!